The campaign is being run by vehicle tracking and fleet management technology specialist ABAX to warn fleet operators that they could be at risk of tax penalties of up to £3,000 if they aren’t operating in line with the HMRC’s rules and requirements. 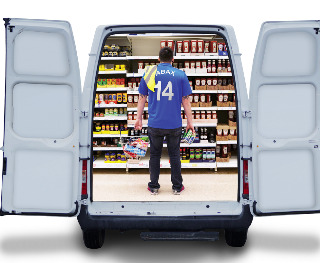 Examples include using company vans for things like taking mates to a football match or going to the supermarket. The campaign follows a recent ABAX/YouGov survey that revealed 56% of employees who drive a vehicle for business purposes were unaware of the tax regime for reclaiming business mileage. It also revealed that 70% of business owners don’t fully understand the tax implications that surround mileage claims. This is supported by HMRC’s Booklet 480 which includes the statement that when no vehicle benefit is declared on an employee's P11D, HMRC requires the business to demonstrate that no private use has taken place. Failure to provide information of sufficient detail or quality to support the declaration on the P11D can result in a £3,000 fine for poor record keeping, a requirement to repay all taxes and national insurance owed on the van, with the further possibility of a fine of up to 100% of the amount owed. Further still, HMRC can backdate the fines, penalties and tax owed, with interest payable, for six years. ABAX UK chief executive Chris Miller said: “At ABAX we know it’s not easy to keep track of all the tax authority’s rules and requirements and our fully automated ABAX Triplog can help protect your team and company, saving time and money. The ABAX campaign will run until 31 July and features digital advertising and radio advertising on talkSPORT. It also gives the chance to win of pair of tickets to a Premier League game of your choice in the 2016/17 season.